This Tactical Response TR-3 features a 6061-T6 aluminum handle with a grooved pattern on the front side. 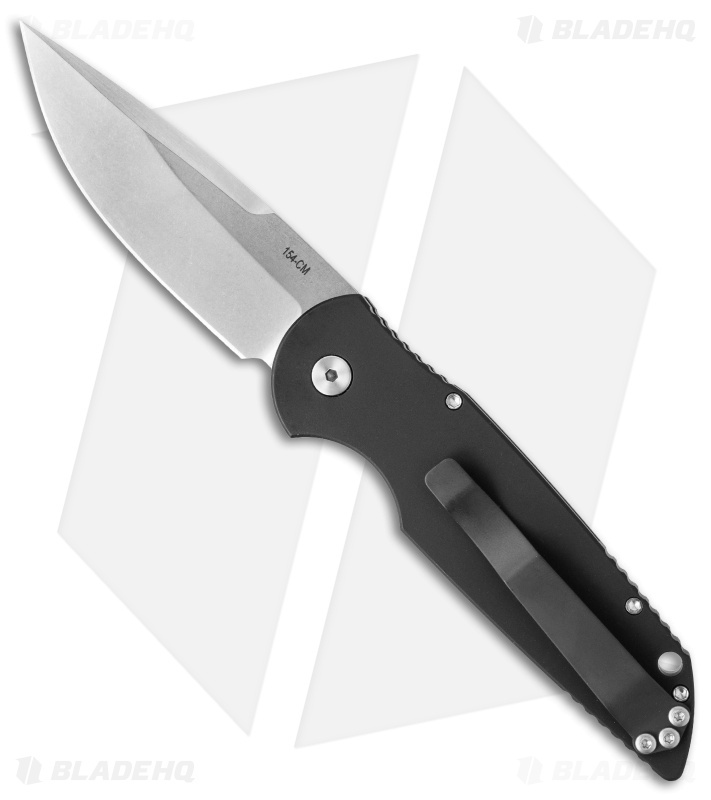 The 154-CM stainless steel blade has a stonewash finish and plain edge. As with any Protech automatic, this TR-3 has hard-hitting action and solid lockup. 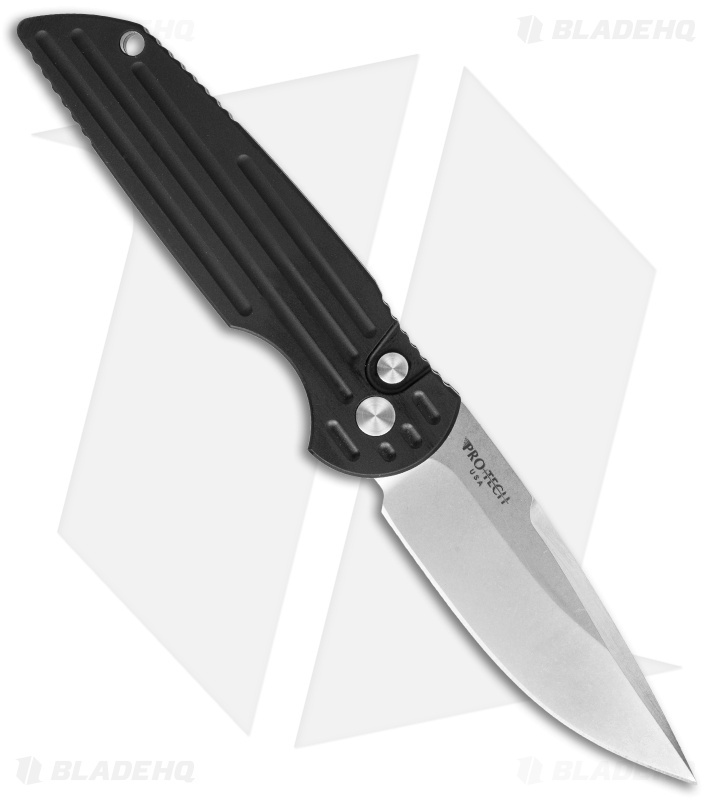 Absolutely love this knife, its the first left handed and first Protech knife I ever bought but not the last, I always loved knives and have many of them, the quality of Protech stands out, thanks for making a left handed model which most companies don't. 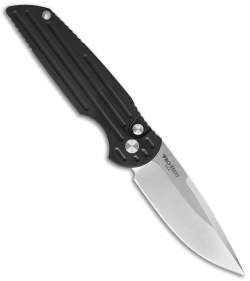 This was my knife crush basically all through high school and college. Of course at that point couldn't afford it. After I got out of college and got a full time job and could afford it, I looked into getting one and saw that they make left handed ones now, which is great since I'm left handed and all. It was the first knife i bought that cost over $100, so I was kind of afraid to carry it for a while. I still kind of am even though i carry knives that cost a lot more than this one and use the crap out of them without a thought. I guess because this was my first "nice" knife and its a little bit sentimental. Now for the actual review. 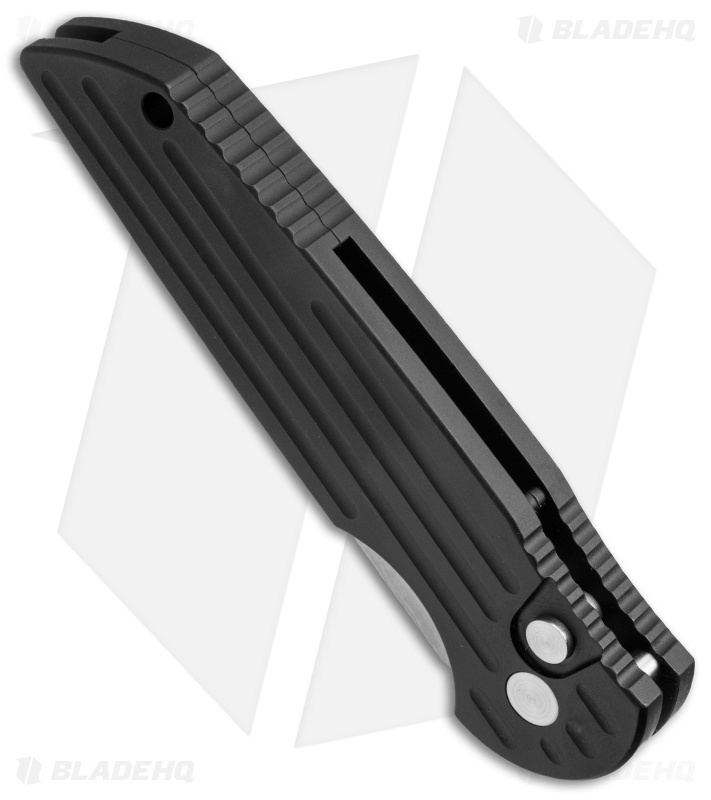 The knife is a great design for edc and tactical use. It's a very good size for either, and it's very well crafted. It's also surprisingly light for its size. The action is fast and the button is easy to actuate. The edge comes super sharp out of box. If I was going to carry a knife for self defense, this knife would be at or near the top of my list. The snap when you open it is very authoritative. This is good for scaring baddies and for making your friends jealous, but maybe not so good for cutting that string off your sleeve in a business meeting. 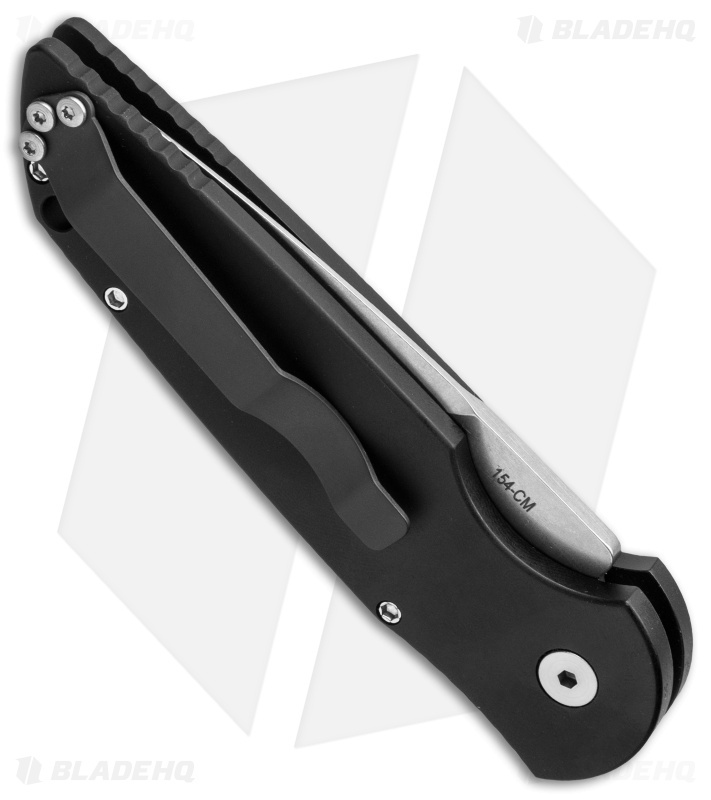 I personally think if you are going to spend $150 on a knife, and you can carry an auto, you cant really beat this with much else that I can think of. It just gets so much right. I personally havent hard used this one much, since its sort of sentimental, but im sure it will perform fine if you choose to. I may buy a second one that I'll carry and thrash on, since i cant bring myself to do it to this one.